Because you’re that parent, this is a baby bottle that looks like a little beer bottle. 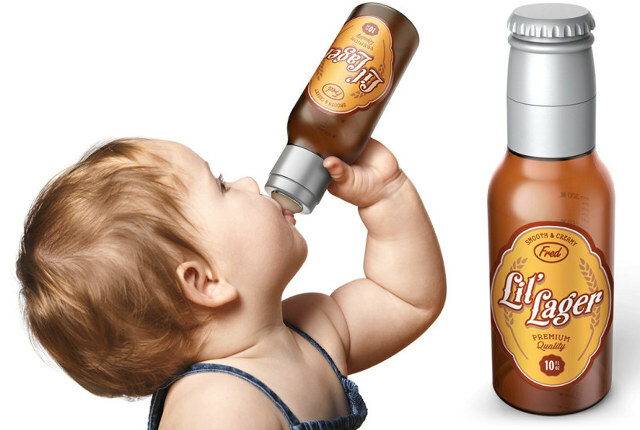 Available for pre-order from Fred & Friends for $12, the Lil Lager Baby Bottle makes the perfect intro into beer for your youngster. After all, it’s only a couple more years before they can drink the real thing. What is the legal drinking age now, anyways? Six? Eight? I feel like it’s eight. Thanks to PYY, who agrees they need to make a 40-oz version.